If you are NOT one of the hundreds of units that have signed up already, CLICK HERE TO REGISTER! Click on the links below to get a closeup of the card for your District. 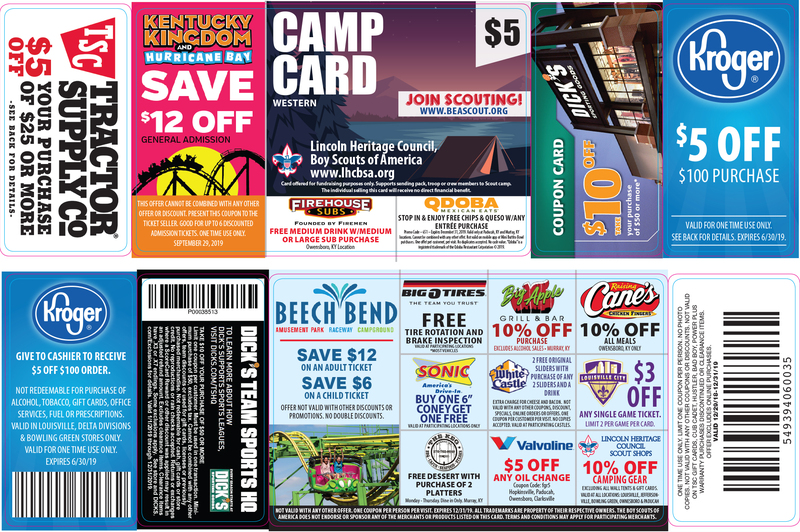 Camp Cards are designed to help units and their members earn their way to a Summer Resident Camp, High Adventure Base, Day Camp, Winter Camp, or National Youth Leadership Training. 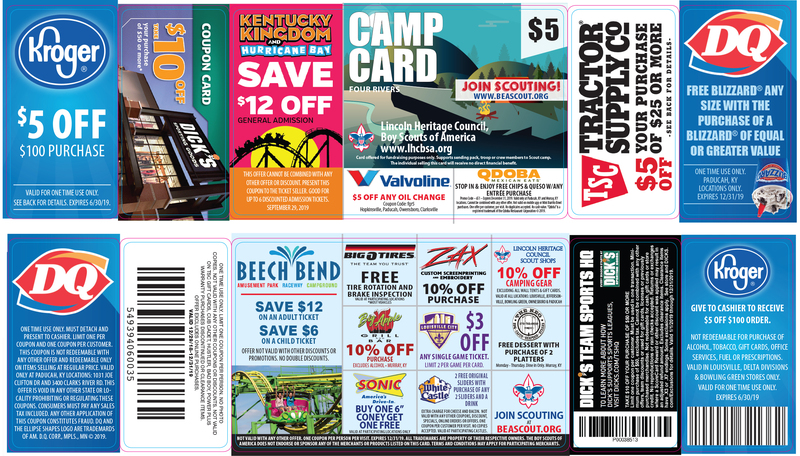 Camp Cards are RISK FREE (return any unsold cards) for our Scouts in the spring to generate funds in preparation for Summer Camping and Programming experiences! 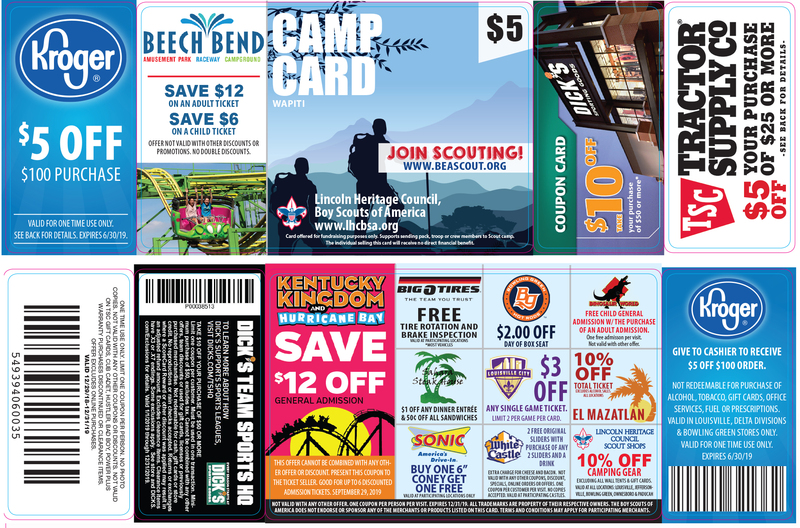 Camp Cards relieve the pressure for units to hold multiple fundraisers. 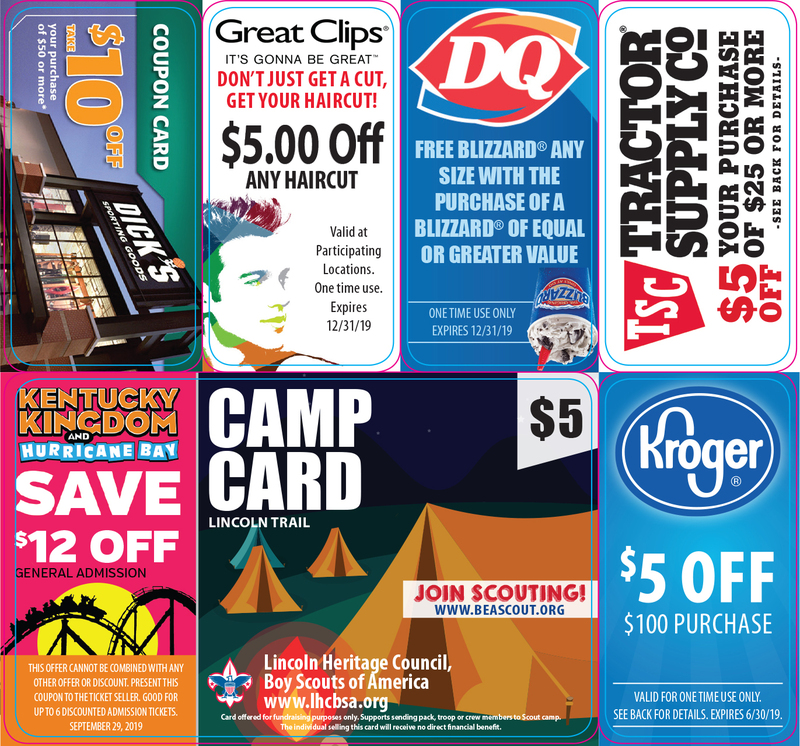 Our Camp Card Sales program provides your Scouts and program with a great product at a great price point! Cards sell for ONLY $5.00 and are easy to sell. THESE ARE THE BEST CARDS EVER INTRODUCED TO OUR COUNCIL MARKETS!! 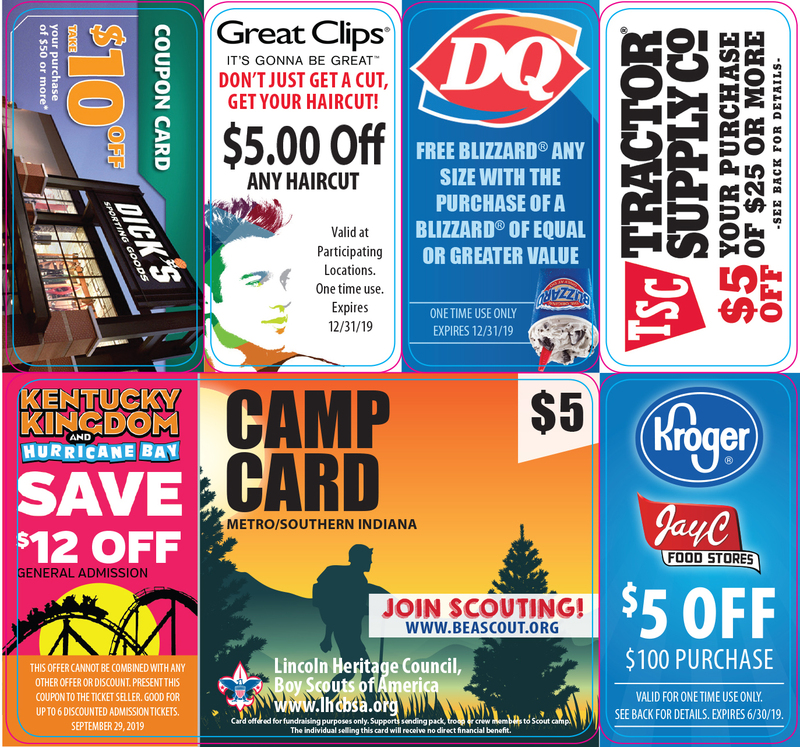 We are confident that your Scouts and leadership will have no trouble selling this year’s Camp Cards! Please review the great deals each card provides above. THE QUESTION IS NO LONGER WHY SHOULD YOU, BUT WHY WOULDN’T YOU WANT TO PARTICIPATE!??! Camp Cards are a great way for Scouts to earn their own way! Units participating in this program will earn 50% commission ($2.50) for each $5 Camp Card they sell. There are not many fundraisers that you can earn a 50% profit margin so don’t delay – CLICK HERE TO REGISTER! ALSO, nearly 100% of all proceeds stay local within Scouting!! Our Lincoln Heritage Council incurs the cost of the cards and takes on the liability for any unsold cards and keeps the remaining commission to support our Camping properties, Scout Shops/Offices, Camperships & Financial Assistance Request and Council Training/Programs. NOTE: Commission drops to 25% after May 24. For more information, or questions, call your District Executive or email David Sikes at david.sikes@scouting.org.